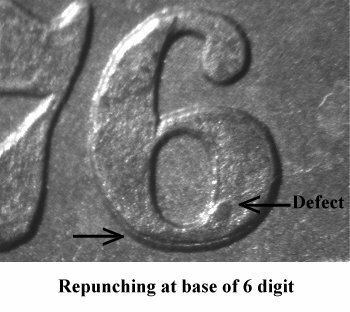 Comments: On Obverse 9, the distinguishing diagnostics are the repunching of the 6 digit and radial die lines in the shield and lower gown areas. 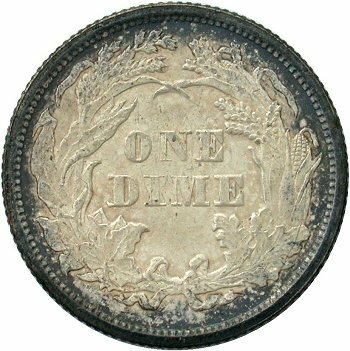 The 6 digit is repunched upward with traces of the prior digit being visible at the base. 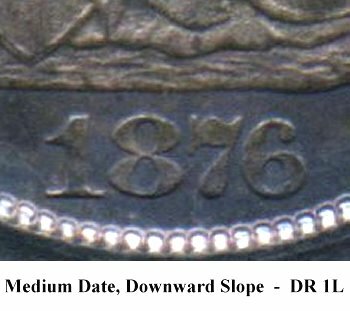 There is a small die defect on the right side of the lower loop of the 6 digit. 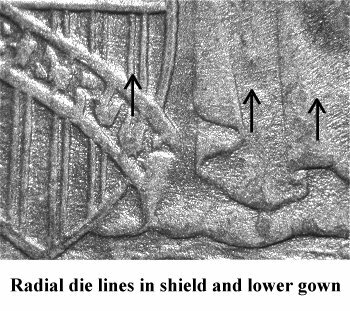 Radial lathe lines are visible throughout the shield and across the lower gown area. 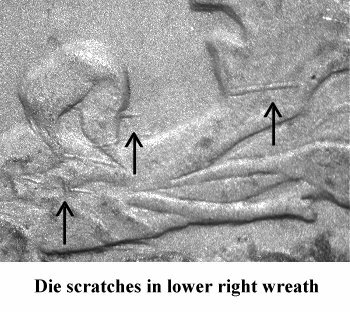 Reverse I exhibits numerous die scratches in the lower wreath. 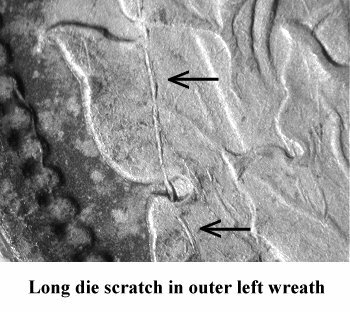 A long vertical die scratch is seen in the outer portion of the left maple leaf, while the lower right oak leaves contains random die scratches. 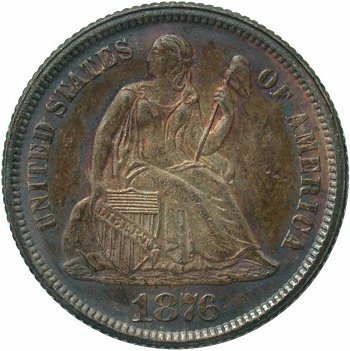 Both the obverse and reverse dies show faint die cracks.